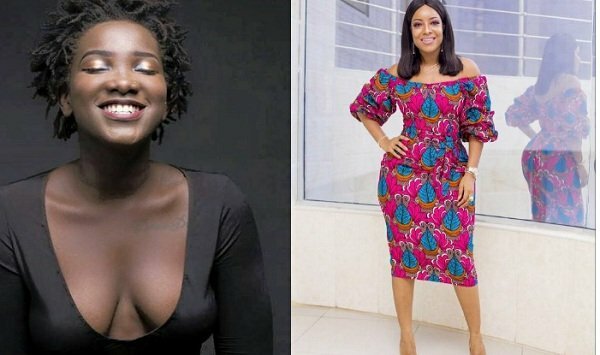 Actress Joselyn Dumas has revealed that although she believes Ebony Reigns has the talent and will go far with her music but she needs the right mentors to direct her footsteps. According to her, the reigning female artiste has a great talent and her ability to move the crowd during her performances is one thing she loves about her. “I like her. I like her style. I think she is an amazingly talented woman. I watched her perform live at the AFroChella. I was blown away. Prior to that, I had never seen her do anything live. And I thought ‘this girl knows how to work the crowd”, she said. “Efya will always be my favorite but when you talk about the new kids on the block. I love Ebony. I think that she is very talented and we need to support her. she needs mentors. She needs people who have been there to hold her hands and direct her in the right way”, she added.